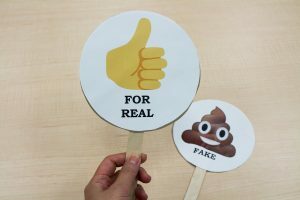 Fake news was named the word of the year by the Collins English Dictionary in 2017. 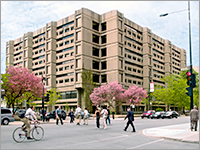 Collins’ lexicographers said use of the term increased by 365% since 2016. 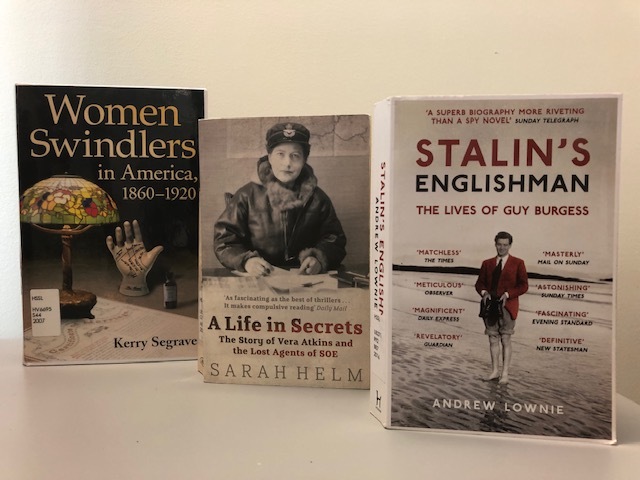 In light of this, and in celebration of April Fools’ Day, McGill Library presents a collection of books that delve into the history of wartime propaganda, the psychology of lying, and the stories of fraudsters. The term fake news is now synonymous with Donald Trump. To that end, we have included several recent publications about the current United States President. Donald Trump: The Making of a World View reveals how Trump’s worldview was formed and how it affects policy. Communication in the Age of Trump is a collection of essays that examine how Trump uses Twitter to speak directly to the public. 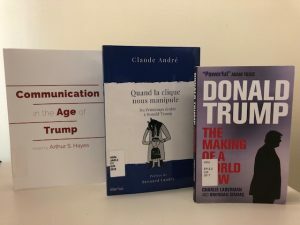 Quand la clique nous manipule: Du Printemps érable à Donald Trump hits a little closer to home by examining the marketing behind the 2012 Québec student protests and how polarizing social movements that have come afterwards, such as the Make America Great Again rallies, have drawn on similar communications strategies. 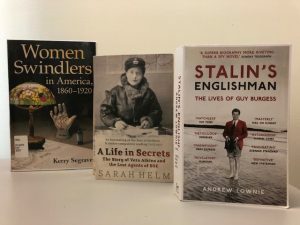 The book display also highlights biographies, such as Stalin’s Englishman: The Lives of Guy Burgess, about a British diplomat and Soviet agent, and A Life in Secrets: The Story of Vera Atkins and the Lost Agents of SOE, a British intelligence officer who worked in France during the Second World War. Women Swindlers in America, 1860-1920 delves into the lives of women who were scam artists in the field of spiritualism, who told sob stories to get money, who ran matrimonial cons to increase their bank balances, and who swindled financial institutions by passing bad cheques. Cinema and photography were heavily relied upon during the Second World War as forms of propaganda. Marketing the Third Reich: Persuasion, packaging and propaganda re-conceptualizes Third Reich propaganda through the lens of consumer marketing. 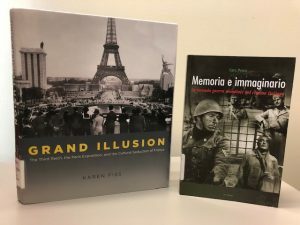 Memoria e immaginario : la Seconda Guerra mondiale nel cinema italiano examines thematic traditions in Italian resistance cinema. Grand illusion: the Third Reich, the Paris exposition, and the cultural seduction of France touches on French reactions to Nazi culture in the 1930s and the Nazi party’s construction of German identity in Paris. If you’re in the mood for a good novel set in a dystopian future that heavily features state propaganda, then rest assured that the display features some classics, such as The Handmaid’s Tale and Fahrenheit 451. We also have contemporary graphic novels that address fake news, such as the recently published and highly acclaimed Sabrina. 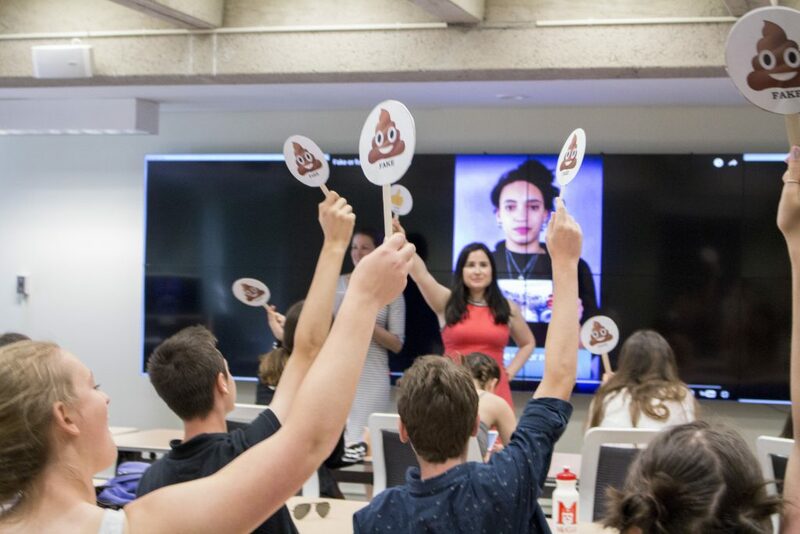 No matter your taste, McGill Library has something to satiate your fake news fix!